The United States has long been Land Of The Free And Home Of The Smartphone. 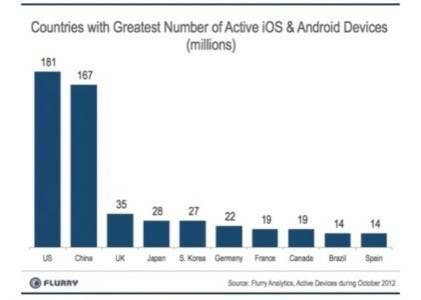 Since the advent of the Mobile Revolution (which we will tentatively date to July 2007), the U.S. has had the largest installed base of smartphone users on Android and iOS of any country on the planet. But the reign of the U.S. as the country with the most smartphone users is just about over. 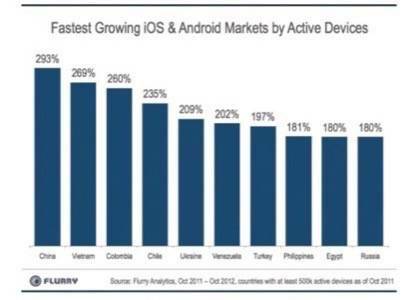 Mobile analytics company Flurry predicts that China will overtake the U.S. in iOS and Android installations by the first quarter of 2013. 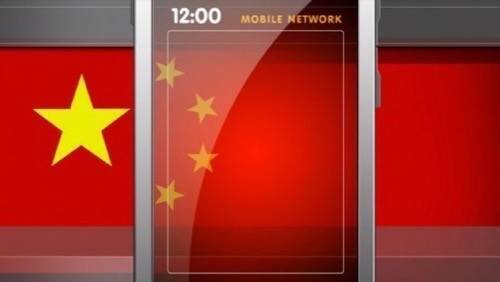 According to Flurry’s estimates, China has 167 million iOS and Android devices active, trailing the U.S. by a scant 14 million smartphones. With a growth rate approaching 300%, China is on a pace to eclipse the U.S. very soon indeed. Flurry uses data from 250,000 apps between the two operating systems and estimates that it can detect 90% of active iOS or Android devices on the planet in any given month. According to research firm Gartner, Android had 72.4% of smartphone sales in Q3 2012. Apple’s iOS had 13.9%. So 86.3% of the global smartphone went to one or the other in Q3, a trend that has been persistent over the last year or so as rival systems like Windows Phone, BlackBerry and Symbian have tailed off. If we extrapolate this a little further, it is easy to assume that not only will China take over the lead in iOS and Android installs, but the overall smartphone smartphone installed base by early next year. The United States added 55 million installed iOS and Android devices between October 2011 and October 2012, about a 30% annual growth rate. China added 125 million installations in the time period, a 293% growth rate – tops in the world. China is truly seeing an inflection point in smartphone adoption, much like the U.S. did between 2009 to 2010. 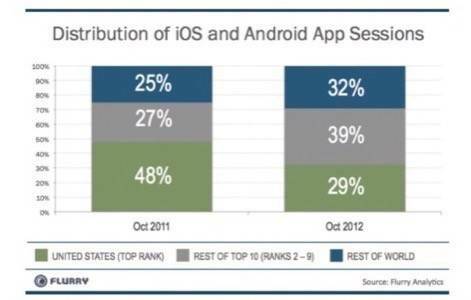 Flurry notes that 71% of all app sessions on iOS and Android now take place outside of the United States. That is an important stat for app developers to understand.  As we have seen, many popular services started in technology hotbeds like San Francisco, New York or Boston, but have been forced to look overseas in search of massive growth. Social media companies like Facebook and Twitter can testify to the power of this trend as both have seen massive foreign adoption that eventually outpaced their domestic roots.